Expertly Installed By Seemore Glass. The modern edge-to-edge appearance of our flat rooflights makes them the ideal choice for any extension project. Find out more about our Titan flat roof range by calling our team today. The modern appearance of our flat rooflights – which feature edge-to-edge glass to deliver a seamless look – are growing in popularity. If you want your home to stand out from the local crowd, then our expertly-crafted Titan Edge flat rooflight systems will meet the aims of your project in full and catch the attention of anyone who comes to visit. 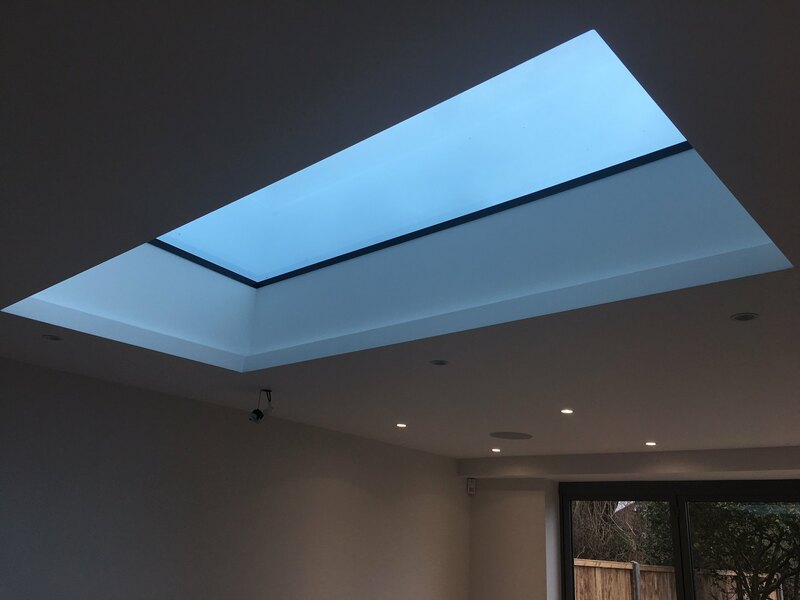 The contemporary aesthetics of our lantern rooflights will improve the market appeal of your home and remain clean all year round, due to the fact that water glides off the surface. Seemore Glass covers Hockley, Rayleigh, Rochford, Southend, Hullbridge, Leigh- on- Sea, Belfleet, Basildon, Chelmsford, Wickford, Brentwood and the local areas. Call us for advice or a quote on 01702 205 853 today. You can also send us a message through our online contact form or book an appointment today. Our flat rooflights are perfect for house extensions. Not only are our Titan systems strong and secure, each installation excels at retaining heat, a feat that’s accomplished by each roof’s thermally broken aluminium frame. The frame operates in conjunction with a 20mm Warm Edge spacer bar and an argon gas filled sealed unit to deliver exceptional levels of comfort. 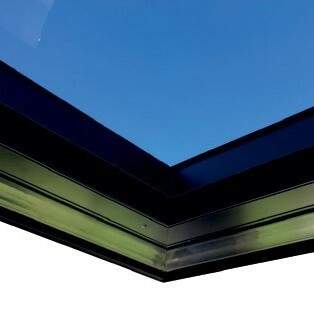 The combination of these market-leading features amounts to a flat rooflight capable of achieving a U-value of 1.3. 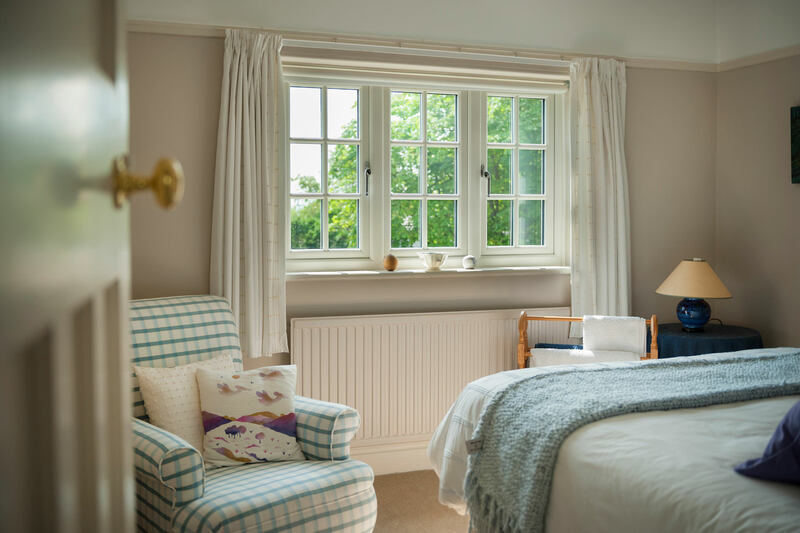 Your extension or orangery will be the perfect temperature all year round, which means you’ll be able to enjoy the benefits of your new room space without worrying about it being too hot or too cold. Find out more by contacting Seemore Glass today. Keep your property safer with a system that’s fitted with safety laminated glass, which won’t shatter - even if troubled by heavy impacts caused by environmental factors or people. To further protect your home, we’ll fit market-leading security glazing (which is also laminated and almost impossible to damage. The glass used in our flat rooflight systems will also stop your chosen room space from overheating. That’s because we offer a sun bleached laminated glass option that’ll prevent 98% of UV rays from penetrating. Your glazing will also reduce noise pollution, making it the ideal choice for homes located in busy city areas. Personalise your new flat roof by selecting from a broad range of design options. We offer a dual colour option, for example, which means that you can have different shades internally and externally. Self-cleaning glazing comes as standard, but you can choose between a Neutral or Blue Activ colour. Once you’ve chosen your preferred flat rooflight design, you’ll benefit from a fast turnaround. The system will be delivered to site in a ready state, dramatically reducing the installation timescale and barely impacting on your daily routine. 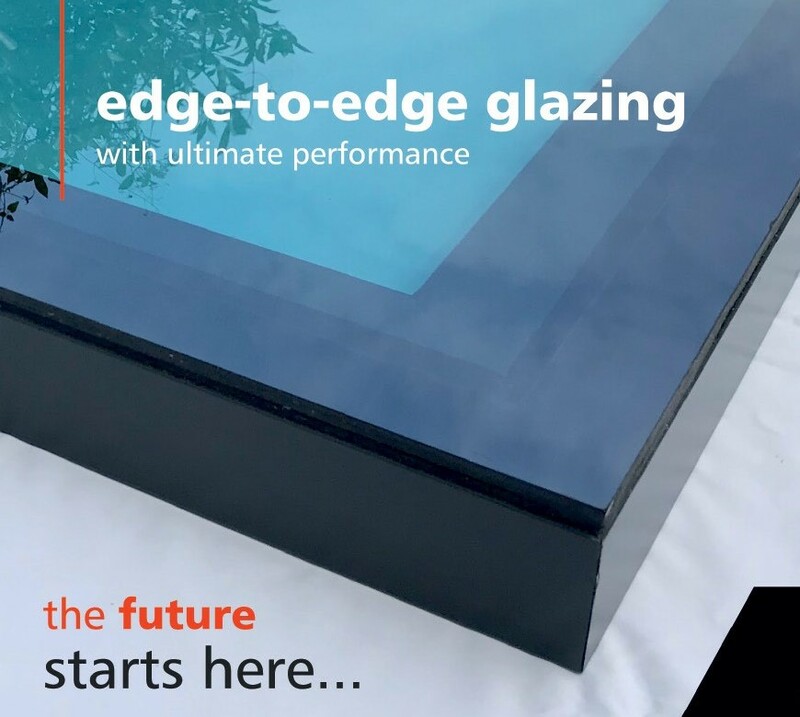 Choose Seemore Glass for a fast and professional service. You won’t have to pay more to enjoy the benefits of performance glazing. Pilkington Activ Control Glass - which will automatically clean grime and debris from the surface of your roof - comes as standard. Seemore Glass can accommodate unusual requests, too. Flat rooflights that are larger than normal can, in some cases, be fitted with the support of a crane and operator. Ask for details when contacting us. We design and professionally install flat roof systems in Hockley and the surrounding areas. The Seemore Glass team has an excellent local reputation and the expertise to make your project a big success. Our Titan systems excel in all areas. Our roofs are strong, secure, thermally efficient and aesthetically better than any competitor models available. Design your flat rooflight online by using our quoting tool. We understand that cost plays an important part of the decision making process. Our flat rooflights offer excellent all-round performance, but at a price that you’ll be able to afford without having to think twice. Our Titan systems arrive on site in ready format, making them easier to manoeuvre and install on site. Minimal cutting and noise will be needed and disruption to your daily routine will be greatly reduced as well. 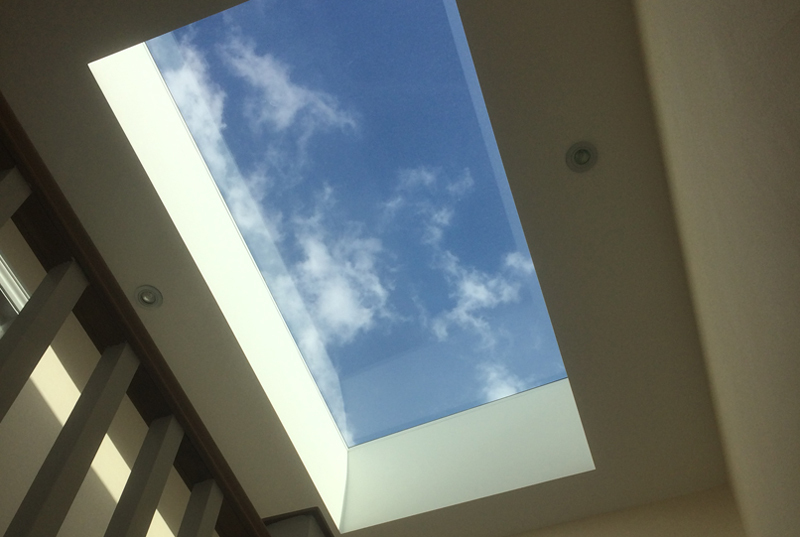 We are specialists in rooflight and skylight installations throughout Essex. Get in touch to discuss your project and we will provide you with a tailored quote. You’ll be surprised at our competitive flat rooflight prices.Our team of friendly experts are ready to help you, providing advice and guidance along with a no obligation rooflight quote. Contact us today through our online contact form, book an appointment or give us a call on 01702 205 853.